How Uncovering Your Clients’ Estate Planning Needs Means More Business for You | The Levin Law Firm - Philip Levin, Esq. As a trusted advisor, we have a fiduciary duty and moral obligation to our clients to help them avoid negative consequences of bad planning. That duty includes keeping up-to-date on practical and legal issues related to estate planning, as well as getting your clients the help they need, when they need it, to ensure that their estate plan is in accordance with their goals and objectives. Being able to spot common estate planning problems can do a lot for your business. It can expand your relationships with clients and allow you to serve them in a fuller capacity – one that’s more intrinsically rewarding and profitable for you. Currently, you probably have more than enough on your plate now. 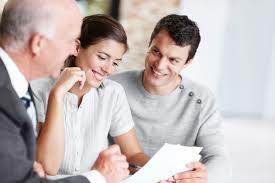 Therefore, the thought of getting into estate planning and probate law may be overwhelming. Subjects such as planning to avoid probate, developing workarounds for clients to reduce taxes, and examining financial instruments to recommend for various situations can make your head spin. Fortunately, you do not need a law degree or years of study, to spot some very common gaps in your clients’ estate plans! Below we have set out eight (8) strategies to determine your clients’ estate planning risks. Like gauges on your car’s dashboard, when you see these signs “light up,” it might be time to bring an experienced estate planning attorney into the mix to figure out what’s happening and what needs to be done to clean things up. 8 Easy to Spot Estate Planning Issues – Signs You and Your Client May Need to Call in an experienced estate planning attorney. Wills can be good estate planning tools, when used correctly. But in many cases, they are not used peoperly! A proper estate plan often includes the goal of avoiding probate, along with costs, delays, and publicity of a probate proceeding. If your client dies intestate, that will reflect poorly upon all of his or her financial, legal, and tax advisors, and possibly lead to lots of headaches for both beneficiaries and advisors in your future. Many Wills we review are very often not drafted properly. For example, if the terms of the Will attempt to include property held in joint tenancy or if the Will designates a beneficiary that conflicts with other beneficiaries named on other legal documents, your client’s goals are not adequately expressed. They might even be setting up their heirs for a long and expensive probate court proceeding. Don’t let that happen. Step in, take command and the initiative to get problems solved while your clients are competent and alive, before the proverbial ship has sailed. Unfunded trusts can lead to as many problems as a poorly written Will. Some assets will require more time and attention to handle properly during the estate planning process. These include real estate, intellectual property, certain types of stock, business partnerships, and promissory notes. However, building a solid foundation through proper funding, is very important if the plan is to work as intended when it’s needed. Assets held as joint property can pose problems if the surviving spouse has a lot of debt. Protect your client’s by ensuring their assets are titled correctly and insured properly. Otherwise, the estate settlement could be held up in court, as debtors seek to get their claws on those assets. Again, if you spot a red flag, bring it up with your client, so you can both start to address it. An estate plan that provides for outright distributions to beneficiaries leaves that inheritance unprotected from creditors, predators, divorcing spouses, and lawsuits, and lack of investment experience….as well as an inheritor’s own bad decisions. There is a better way. An experienced estate planning lawyer can help your clients by reviewing and analyzing current legal documents in force, along with relevant planning strategies to find the perfect match in order to solve problems for your clients. One problem with naming family members as successor trustees is that many people name two or more co-trustees. If the family members do not get along; if they don’t trust each other; or if they disagree with each other’s decisions, they could end up fighting about it in court. In that case, all the inheritors will be waiting for their inheritance, possibly for years. This can be avoided by naming an institution, such as a bank or trust company, as the primary trustee and the family members as co-trustees. The primary trustee can mediate disagreements that arise, saving the family time and money in the process. In our experience, family strife is often a significant cause of estate planning failure after the client dies. Even if your clients or prospects have recently updated their estate plan, one common oversight is revising beneficiary designations for their annuities, 401(k)s, IRAs, or life insurance to coordinate with the new plan. It is also possible that a beneficiary designation has not been changed since the account was initially opened, but the client’s circumstances have drastically changed, due to marriage, a divorce, or death in the family. Therefore, it is vitally important to check and update the beneficiary designations for accounts you know have been around for a long time – because chances are, there are some Beneficiary Designation Forms that need updating. The federal estate tax exemption continues to increase each year, which is approaching nearly $5.5 million per person. Therefore, many older people might now be over insured. Policies with high cash values can be tapped to provide cash flow or terminated in favor of becoming other investments, adding assets to your management or providing you with an opportunity for the placement of more appropriate financial products. Alternatively, many younger clients and prospects may be under-insured, leaving their loved ones vulnerable to lost wages and unmanageable debt. While many people plan for what happens after they die, a surprising number fail to plan for extended illness or deteriorating mental capacity. Emphasize to your clients that they need some form of Long-Term Care Plan arrangement, and that such a plan needs to be funded somehow. By identifying common gaps in your clients’ estate plans, you can be of much greater service to them and protect them from undesireable outcomes they may not even see coming. Fortunately, you do not need to do a deep dive into estate planning law to spot the glaring red flags that I’ve shared with you in this issue. Spotting these red flags can serve as a springboard for you, leading to deeper conversations with clients about their future and possibly bringing you more business with them. Don’t worry about actually fixing all of the problems you uncover – that’s where we can help. Call us, and we’ll answer your questions, review client documents, and explain the available options to avoid the pitfalls. We would also be happy to strategize with you to establish a process for identifying the most promising areas to help your clients establish appropriate estate plans, as well as generate new business,for your firm.